Scared of Sloppy Sales Syndrome Relapse? Dynamics CRM is the Cure! Just when you thought you had your work life organized, a new quarter starts and you’re buried with new leads, ongoing tasks with current clients, and the grueling search for new opportunities. Sloppy Sales Syndrome strikes again. On top of dealing with your own workload, the pains of postponing the sales cycle while waiting for deliverables from other resources on your team can be frustrating. But why wait for other people to assist you when you can be proactive and speed up the sales cycle on your own? In this blog, we’ll share 3 tricks that will help you take control of your opportunities using Microsoft Dynamics CRM Online. How often do you hear a client use the excuse, “My boss is out of the office and can’t sign your agreement until he returns?” With the new DocuSign CRM add-in, you can leverage automated templates and workflows to get your agreements executed no matter what the circumstance. I personally use this add-in to save time from walking an agreement around the office to get it signed. With DocuSign, everything can be completed digitally, so there’s no need to hunt down physical signatures. 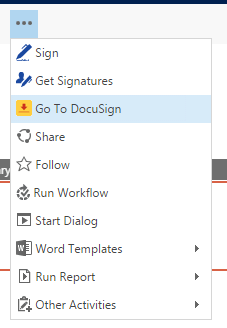 DocuSign is also equipped with the out of the box workflows. Once the agreement is completed the document will be automatically sent to the required recipients. We all know our accounting team is buried in invoices, collections, reporting, audits…the list goes on. Dynamics CRM gives you the ability to create your own software or hardware invoices so you don’t have to pile more on your accountants. Using this feature, you can get the client the information they need to move forward with a sale right away. After all, the quicker the client receives an invoice, the quicker you get paid. Dynamics CRM offers out of the box and customizable dashboards that allow you to keep track of your goals on a real-time schedule. 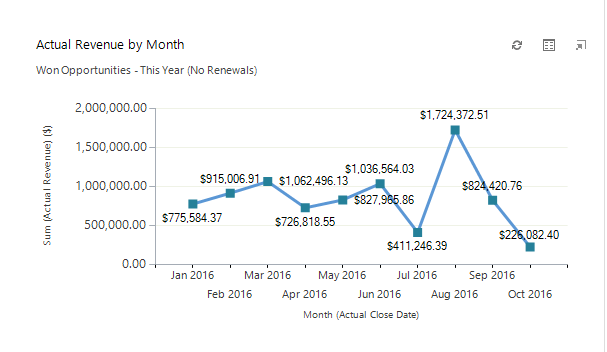 Why wait for your manager to send out the weekly sales report? Stay ahead of the game and keep track of where you are in terms of your monthly, quarterly and annual goals. By taking this into your own hands, you will optimize your overall success and never be left in the dark when it comes to your performance. Sloppy Sales Syndrome may have crept back into your life, but with the help of Dynamics CRM, there’s nothing to fear. By getting organized and taking matters into your own hands when you can, you’ll find yourself productive and effective. Want to cure your Sloppy Sales Syndrome? Contact the experts. Reach out to FMT Consultants using the form below and we’d be happy to help!